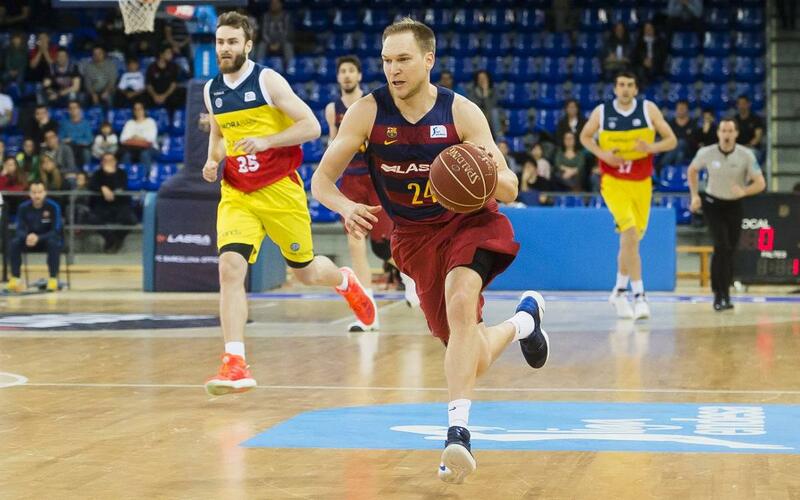 Brad Oleson will not be a Barça Lassa player for the 2017/18 season as the Club has decided not to renew the 34 year old guard’s contract. The man from Alaska in the USA joined the blaugranes in January 2013 and won 1 Endesa League (2014), 1 Copa del Rey (2013), and 1 Super Cup with the team. Brad Oleson is one of the foreign players with most games as a Barça player with a total of 279 in four and a half season. He played 168 times in the Endesa League, 93 in the EuroLeague, 10 in the Copa del Rey and 8 in the ACB Super Cup. The Club thanks Brad Oleson for his dedication and professionalism during the his two seasons in the Barça shirt and wishes him all the best for his future on and off the court.